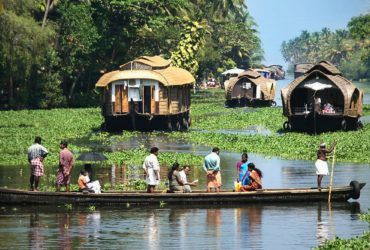 Alleppey is famous for its beautiful backwaters with criss-cross canals, green paddy fields with nature and greenery. 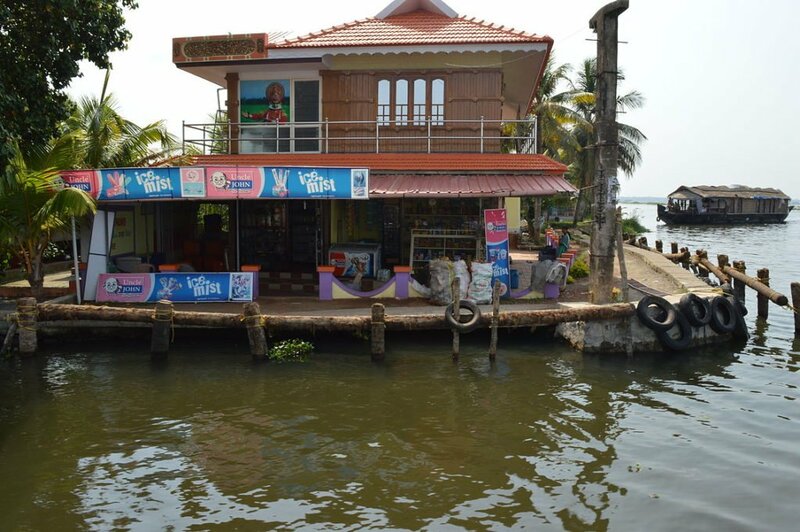 To explore these backwaters and to enjoy nature, one has to go deep inside and need to visit beautiful places like Kuttanad, Kainakary Village and many other villages, which are part of Alleppey backwaters. 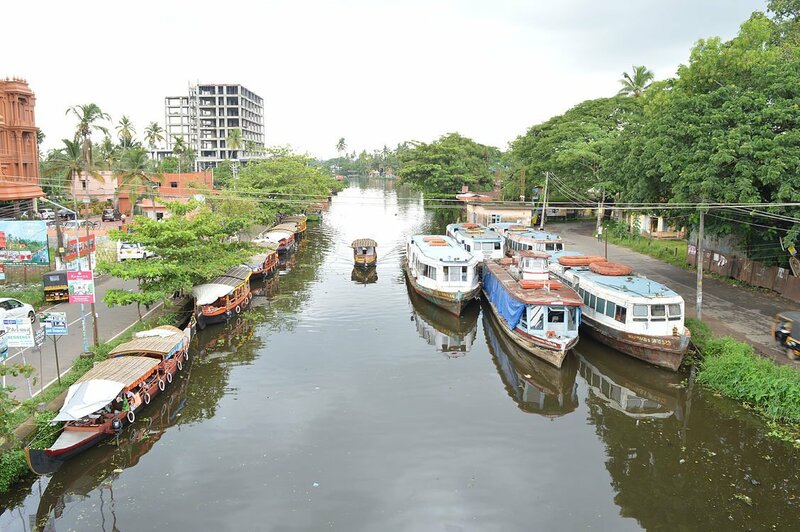 There are many big and small canals and one need to travel through these rivers and canals to explore Alleppey backwaters. One needs to choose different modes of travel like houseboat, motor boat, Shikara i.e. wooden small country boat and speed boat to travel through these canals. Most of the tourists opt for Houseboat. 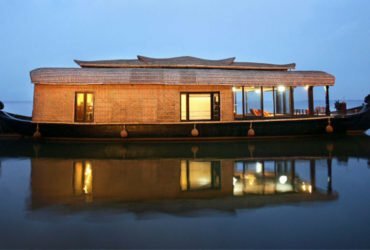 Due to many reasons like – houseboat cannot go through these narrow canals, quite expensive and those who have less time or want to have a budget travel; Shikara is one of the best options. 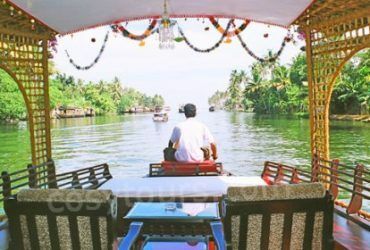 Moreover, the advantage of Shikara is that it can cruise through very small narrow canals, which is termed as the best experience of Alleppey backwaters. 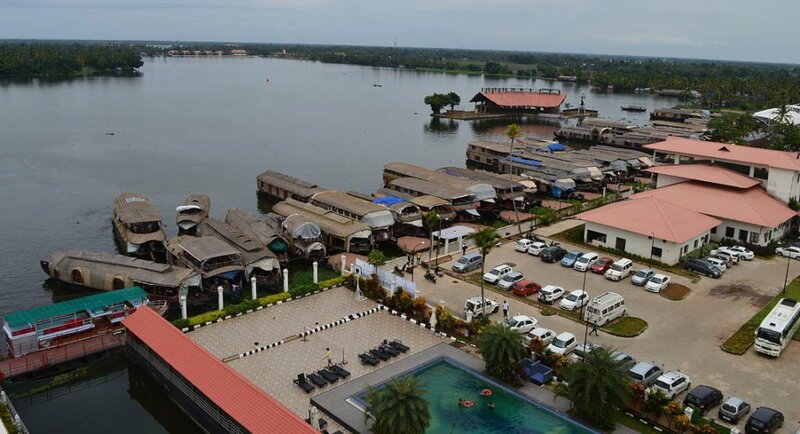 The below 3 hours programme is made for those who does not have time to spent whole day in houseboat or those who want to explore the real villages located in the backwaters. It will cover the most beautiful places like Kainakary villages, which is part of Kuttanad. 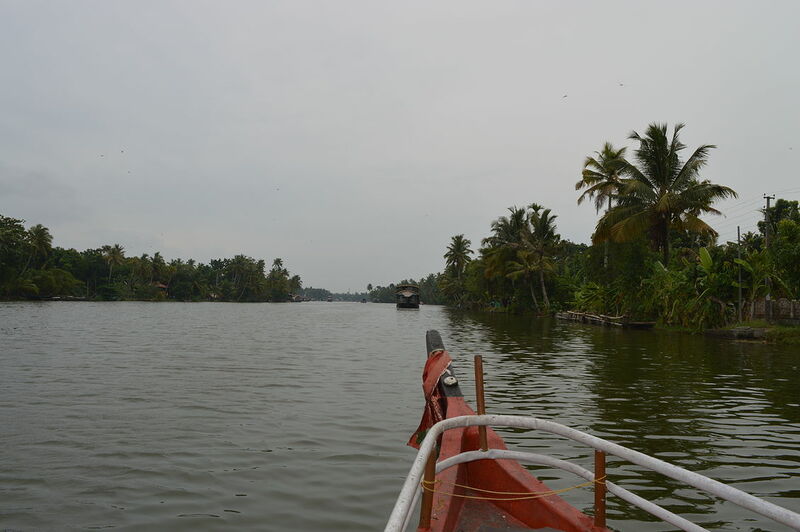 Shikara trip starts from Rajeev Jetty and make a trip through Punnamada Lake. During this time, one can see the finishing point jetty where houseboats halt and wait for their guests. 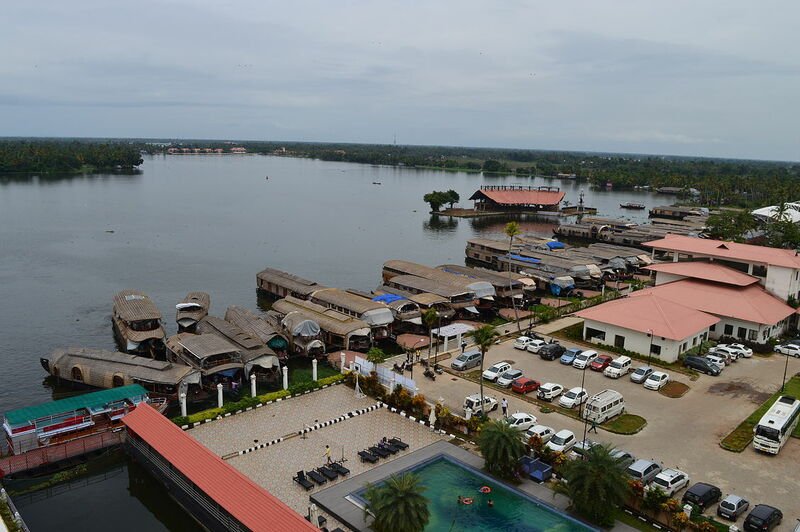 On the right side, a beautiful resort called Alleppey Lake Palace. 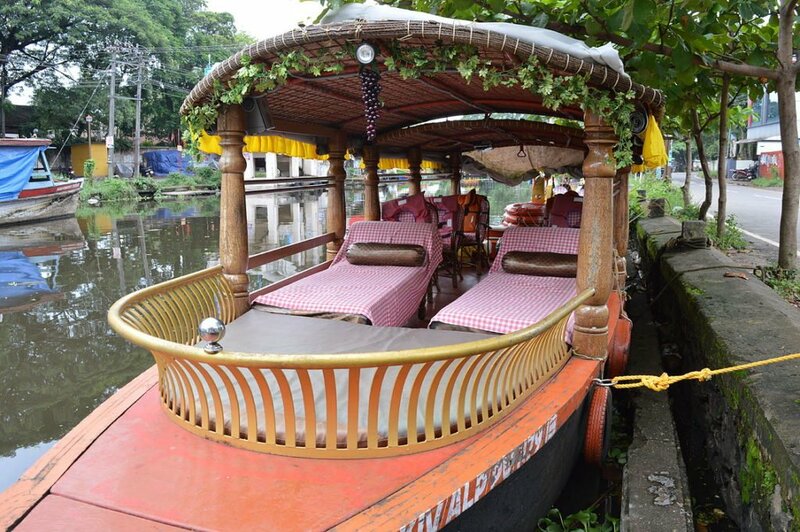 After about 15 minutes trip through Punnamada Lake, the Shikara enter Vilakkumaram canal, a canal that have approx 200ft width. After about 5 minutes ride, the Shikara enters its first small canal called. A very narrow canal hardly 10 meters width, where on the both sides, local people have their home, their living style etc. 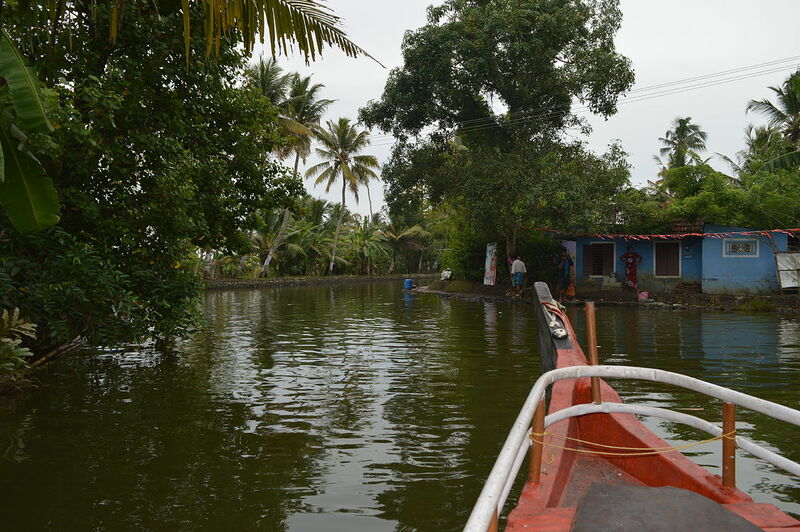 During the trip through this canal, one can experience learn about the local village, how they are depend on these backwaters for their daily life, people using country boat to travel from one place to another place, a fleet of ducks are the best scenic experience. One can also see a small temple on the left side of this canal. After about 30 minutes trip, the small canals ends at Kuppappuram where a bigger river start. 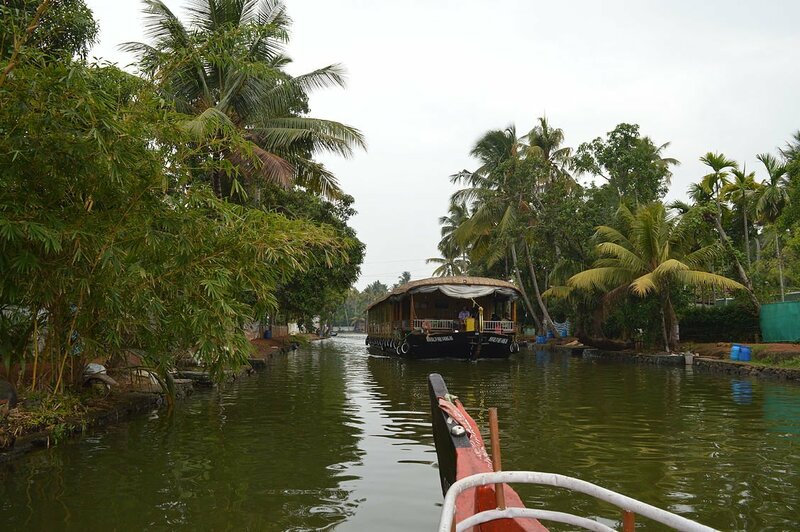 We turn left at Kuppappuram and after about 10 minutes, Shikara will turn right to enter another scenic narrow canal called Umbikkaran Canal. 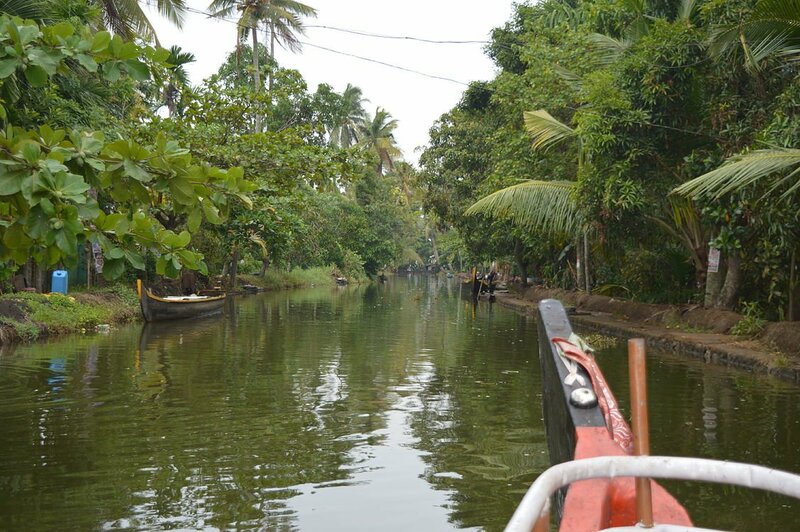 A 40 minutes trip through this canal give a real feeling of Kuttanad and Kainakery village of Aleppey backwaters. Best thing you can see this canal is how local people use very small rice boat for traveling between places. We come back to the same canal for 5 minutes and then turn left to enter a bigger canal called Pallathuruthi River. During this trip of 15 minutes, we can see Chavera Bhavan, an old wooden house where the blessed Kuriakose Elias Chavara was born. (To see this, need to walk for 5 minutes and the Shikara will not stop for the visit). 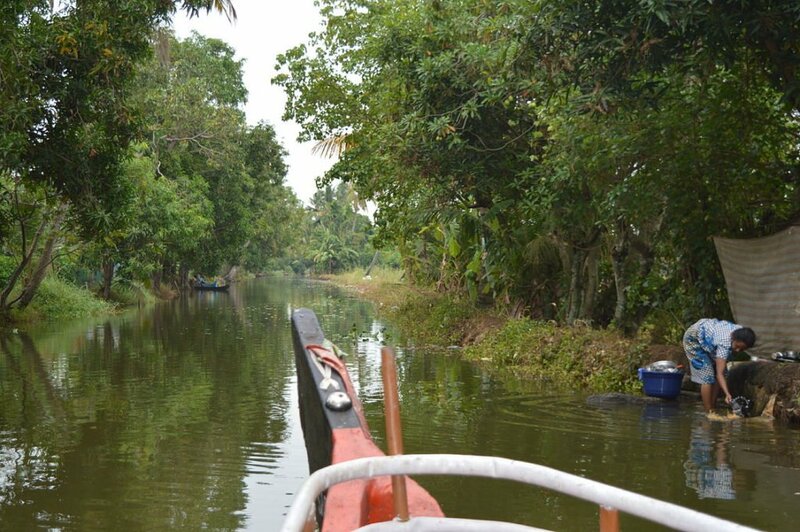 We turn to right to enter Pathil Thod – which is little bigger than earlier canals. We can see a very traditional old Kerala style Tharavadu on the right side. A 15 minutes ride ends at Meenappalli Kayal – which is a very big lake. 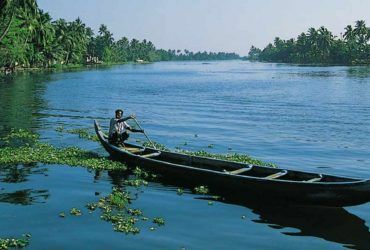 The Shikara needs to cross this lake to enter Irumbanam Canal, which is another beautiful canal. 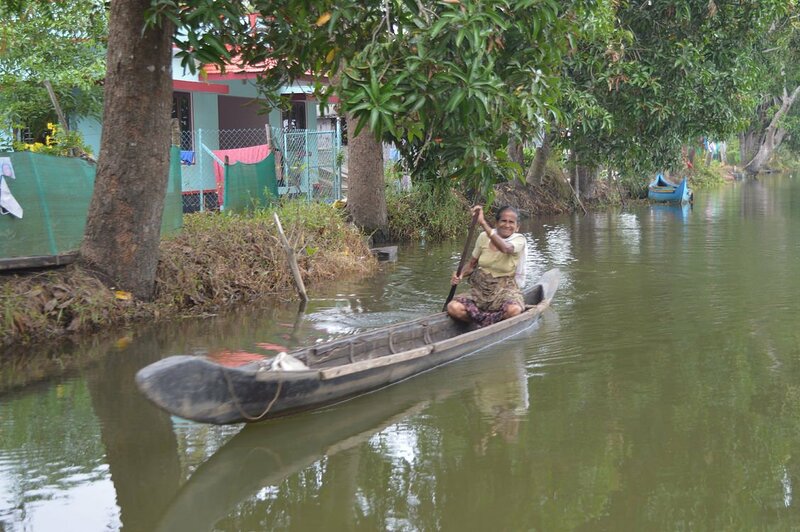 This is bigger than all earlier canals and is the only small canal where houseboats make a trip. A 15 minutes ride through this canal gives you breath-taking experience as one can see many houseboats make trip through this canals. At the end of this canal, we reach a big river from where we have 40 minutes ride to Rajeev Jetty – from where our trip started. During this trip, we can see hospital on boats, a mini market, and many modern houses of the local people and more importantly a floating shop, which sells household items for those who lives on the banks of the river and canals. Cost of Shikara is for per hour basis and the price quoted above is for this particular itinerary. Shikara service is provided according to the requirement. It can be from 1 hour to 3 or 4 hours. All services are private, individual and sharing with other tourists is not common. Prices may increase during high seasons, holiday etc. Ensure that the boat is having a valid license and insurance. Ensure that all safety measures like fire fighting and life saving equipments are available in the boat. Do not hire a Shikara in case of heavy wind / rain etc. Book through a travel agent so that a trusted Shikara driver is available.